Update: Apparently there’s been some delays getting CD’s to stores so they may not be on the shelf as of tomorrow, keep your eyes peeled and ears open. Update: Grab it now on iTunes! The “Australian Hip Hop Supports Canteen” album is one of MC Hunter‘s (RIP) final projects and is due for release on Friday, December 2. 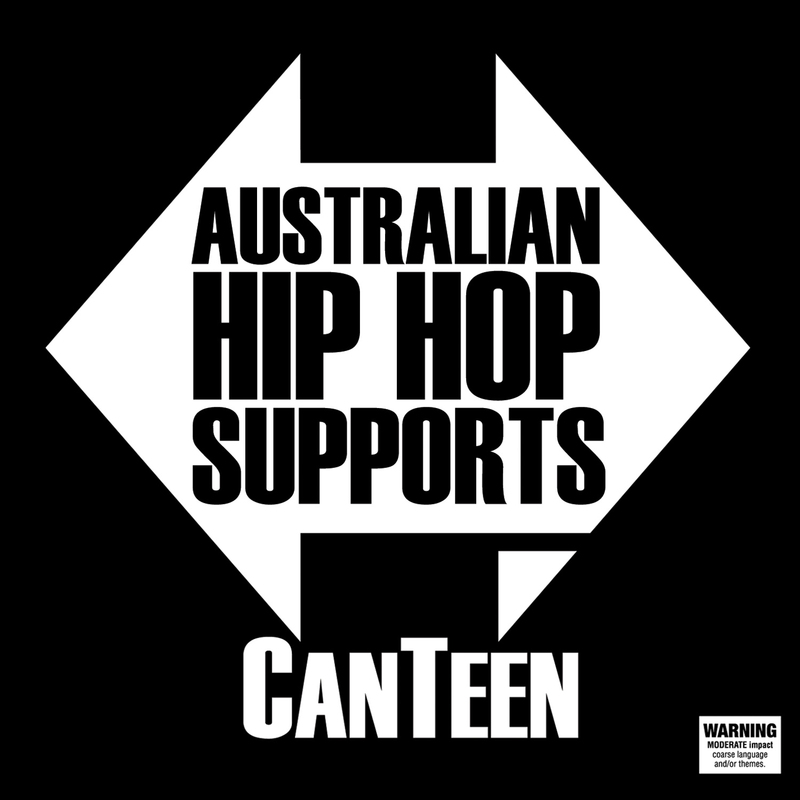 It will be available online and in most retail outlets for $24.95, with all proceeds going towards CanTeen, who offer information and support to teenagers suffering from cancer. Layla – Loves Times Pie Recurring..
Be sure to get your copy and support a great cause!